We have put together this page to help those of you who might be struggling to choose the right cow for your home. 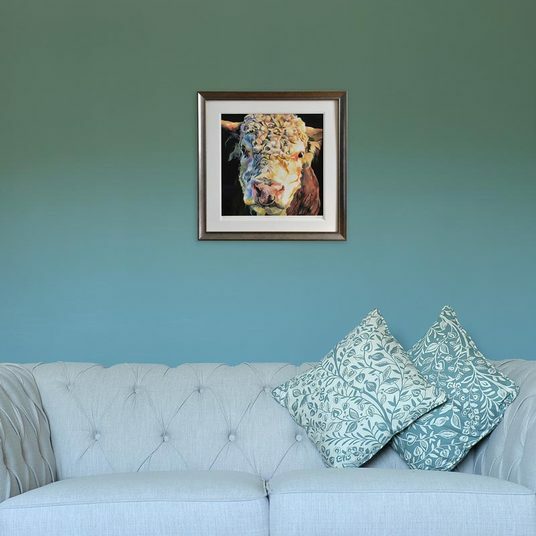 In many cases our customers will see one of the Lauren’s Cows herd, immediately fall in love and take them home. Sometimes it can be a little trickier. Here’s our advice. Don’t worry about colour scheme! Lauren’s Cows have so much colour in them that they are incredibly versatile. 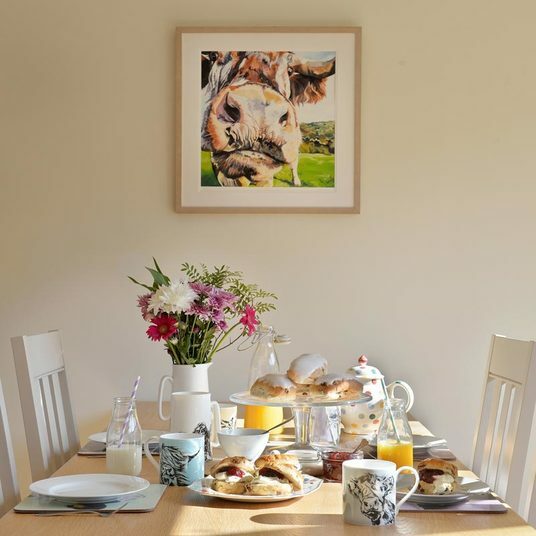 Don’t limit yourself to one cow, if it’s not big enough to fill a space you have then perhaps two separate prints is the answer? 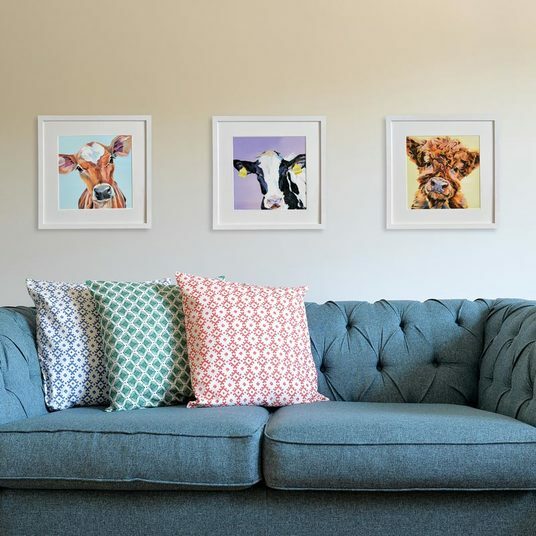 Our print’s have been purposefully designed in two standard sizes, meaning you can pair them up, create triptychs and build up your collection over time. Above all else go for the one that makes you smile. 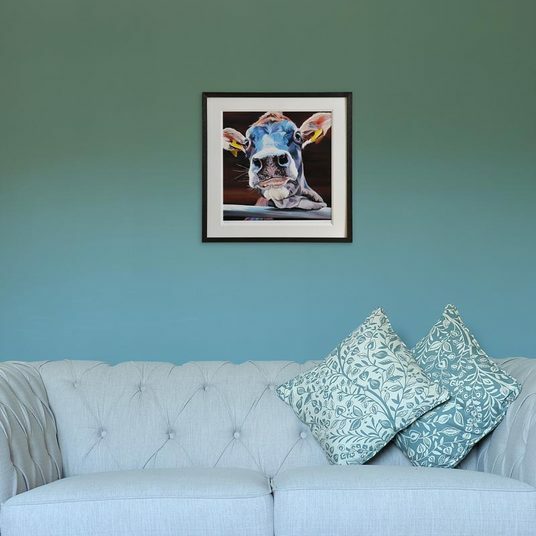 Lauren and Jude will always tell you, it’s all very well buying a picture to match your lounge suite, but when you truly notice it every single day and it brings a smile to your face; that’s the artwork you want! Hermione & Clover have been designed to be paired together. Their backgrounds are exact opposites of each other on the colour spectrums so they sit together in perfect harmony. They look fantastic either side of a chimney breast or on a larger wall. The blue wall really draws out Jody’s colours here, plus the simple black frame makes for extra impact. Molly & Tilly make a perfect pair with their equally quizzical expressions, peering round their frames. The beautiful Minnie, personalised for added sentiment as well as a splash of colour. 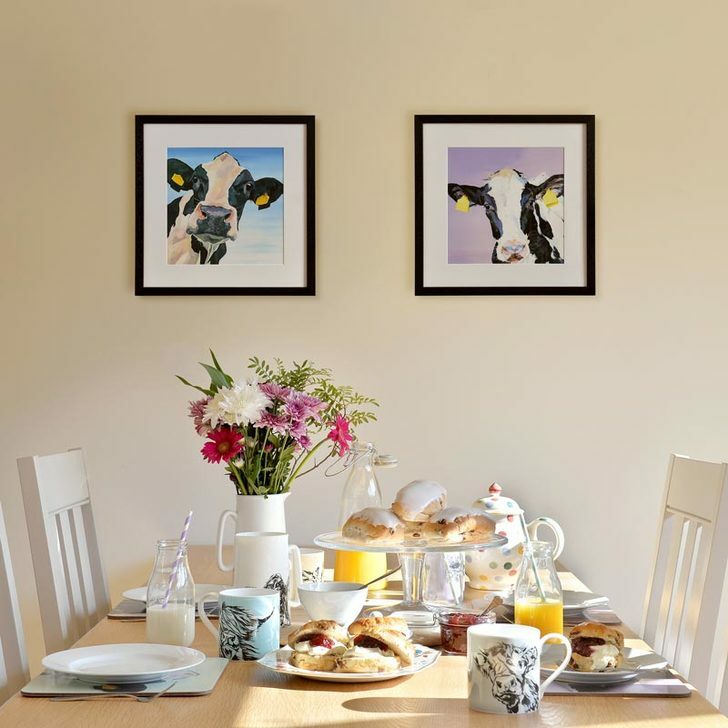 If it’s dairy cows you like then mother and baby are a lovely inquisitive pair for the kitchen. 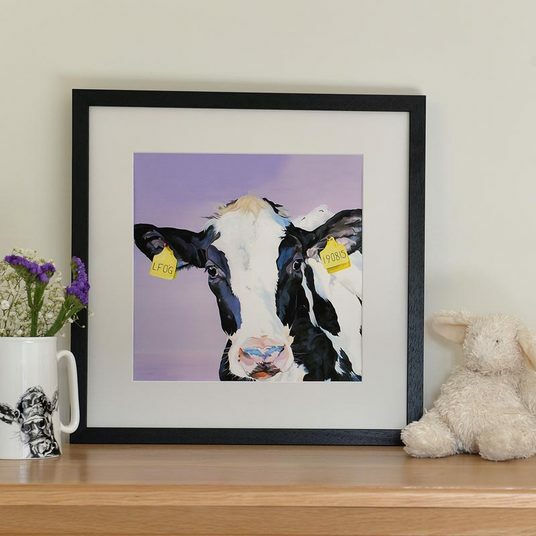 Ruby livens up any space, my most popular dairy cow to date due to her sweet face and beautiful colouring. 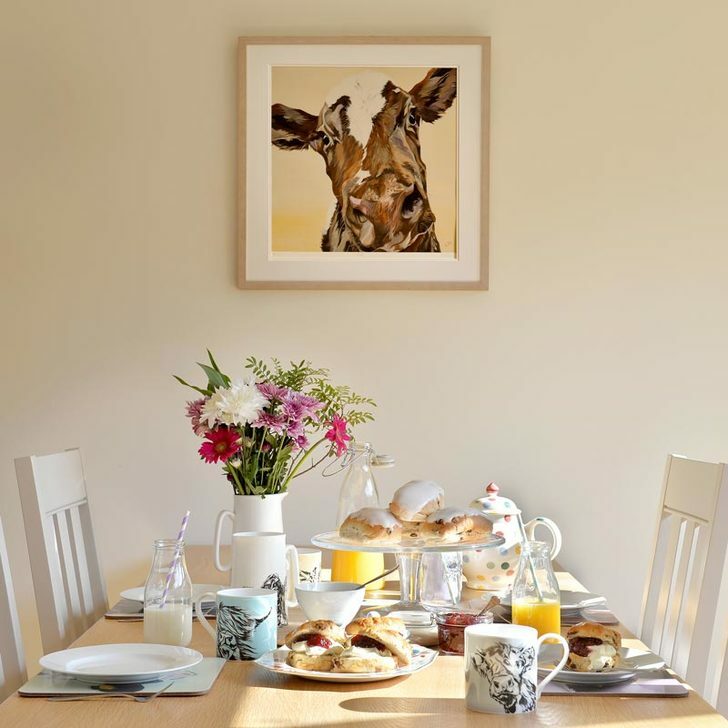 Nosey Holly is a welcome visitor for tea and her abundance of colour makes her very versatile in the home. 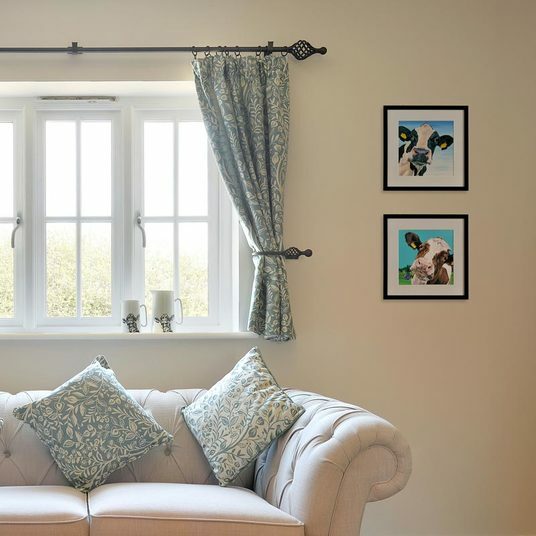 Herbie’s subtle blues are drawn out, and with a wooden silver frame adds a regal feel to the room. For a fresher look the, ‘Spring Chicken’ trio are a perfect addition to the home. Just look at those faces! Got a longer space to fill? Why not add Alfie to the collection.